We're willing to make sacrifices for the cause! The so called leading girl. 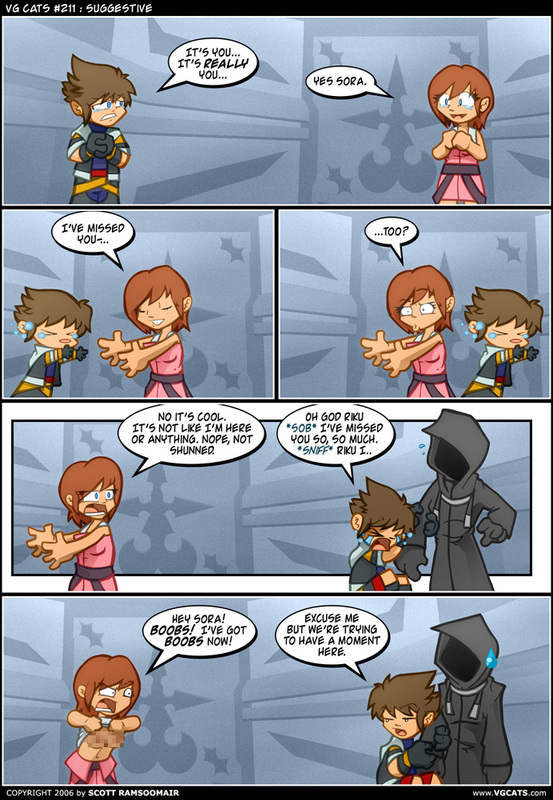 Sora's would be romantic interest. And just about the most annoying, worthless, eye-bleed-inducingly-pink character you'll ever find. The members of this club do NOT like you! Let me count several of the reasons why - composed by club members. 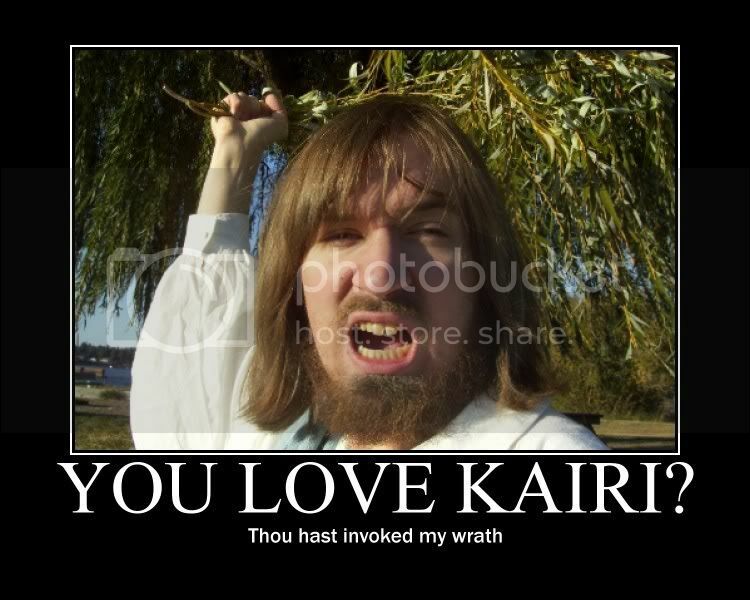 Kairi's influence over the plot derives solely from other's actions, thoughts, feelings, etc, in relation to her. (Cinollex) (SA addition: And even then, most often than not they don't really care. 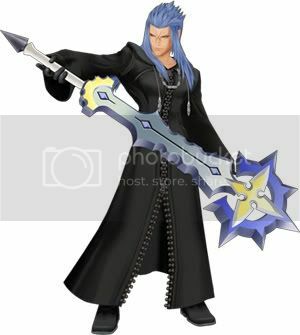 See - KH1 Riku). 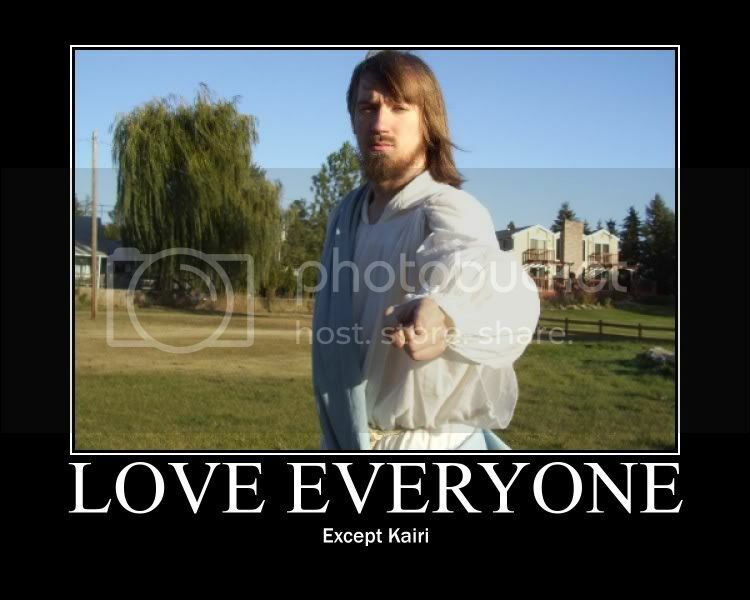 Not even Jesus loves her! Also - Smile's Essay. You know you want to. Now how do you merge threads? I'm gonna make a post here now. I'm still in this club. I'm just rarely posting at KHI anymore. And that's a really dumb reason for hating on her. Yeah, Kairi has just gotten to a point of irrelevance in KH where I don't get angry, but just shrug carelessly. She was hardly ever there to begin with, and now she's present even less. It's like, "Oh. Yeah. She's still here... huh". An irrelevant Kairi is sadly a good Kairi. I enjoyed her so much in Re:Coded. No funny looks now - it was perhaps her one appearance after KH1 that didn't feel forced or pointless. Of course, which is why I can't really hate on her. Nothing to hate about her at the moment. Another "best" thing I can come up with is "She said they'd be together everyday, but she doesn't go with them!" :\ See, nothin' to hate her over. We haven't seen her in a trailer minus the GC stuff Visual Works made...so...she isn't even really there anyways. Neither was TAV but at least we know they have relevance in the plot. There's the fact that she can't spell, but no one really cares. I think I saw a ghost come back from the dead. I'd like to withdraw from this club, and also request my contributions from the first post to be removed. I don't have it in me to hate Kairi anymore, and at this point I don't see any reason to hate her. She's just there, and until we see her again in the series in a major role that either improves or detracts from her, I see no reason to rile myself up in unnecessary hate towards a fictional character. See you all later and I wish you all the best of luck in all that you do.